Quality backlinks are needed for off-page optimization, which is an optimization to increase the SERP (search engine results page) that is done outside the site in question. In practice, off-page optimization is very closely related to backlinks. Various changes in Google's algorithm forced website owners to hang their site traffic from search engines to continue learning to find the right and appropriate optimization model in order to increase their web position to a better place on the search page. Google's algorithm to deal with the problem of excessive backlink optimization is commonly known as Google Penguin. In recent years, this algorithm has resulted in many casualties, especially for those who build their sites with various types of spamming, bulk and low-quality backlinks. To avoid Google Penguin's tantrums, many webmasters are switching from mass backlink models with low-quality links to manual backlinks with high-quality links (quality backlinks). The problem is, not many know how the actual criteria of backlinks are considered quality in Google's eyes and where to find these free backlink sources. Especially for those who have just entered the world of internet marketing and are still unfamiliar with SEO issues. For this reason, I wrote about the 9 Best Quality Backlink Criteria that you can make as a guide in the following off-page optimization with the explanation below. Contextual links are links that are inside content (articles). The reason for this type of backlink is high quality because the links that are in the article are usually related or relevant to the content of the article (the topic was written). And as explained in the first criterion, the search engine links are very popular. Google rewards websites with high authority and trusted with Pagerank, the higher the PageRank the higher the authority. So, backlinks that come from domains with high Pagerank certainly have better quality than backlinks from sites with low PR, PR0 or PR N / A. Because PageRank has not been updated since 2012, the web authority assessment can use alternative DA PA (Domain Authority and Page Authority) from Moz. You can also use Metric TF (Trust Flow) from Majestic SEO. The benchmark value used by the Moz and Majestic algorithms in measuring the authority of a web remains the same, the higher the value the better. If a web authority is high, usually the age of the domain from the web is also long. Rarely is there a web that can get PR4 or PR5 in a matter of months (except for webs whose domains come from domains drop, redirect or fake). Other advantages of old websites are usually faster indexes. Even though the website is not necessarily a big authority, getting a backlink from a domain with this type I feel is safer than getting a backlink from websites that are new to the corn with an unstable index. Later, many webmasters took advantage of the quality of the aged domain to build private network blogs or commonly known as PBNs. But be careful, do not just buy the aged domain because it is not necessarily a good domain to be a source of backlinks. First check the web history, starting from the page view (can use the Web Archive) to the history of the backlink (you can use Ahrefs). Make sure the web has never been used for previous spamming activities. People say, "Google follow people". More or less can be interpreted, links that are on websites with high traffic have better quality than links that are on websites with low traffic because links that are on a website with high traffic are more likely to get clicks (visits) from visitors on the website. This is not 100% correct, but enough to support if other criteria are met. This is related to Link Juice. Getting backlinks with a lot of outbound links will reduce the effectiveness of these backlinks because they have to be shared with other links on the same page. In contrast to the low outbound links, backlinks obtained from this page are far more powerful because the Juice Link directly enters your website without being too much divided into other links. Too often you get backlinks from websites with a lot of outbound links that are also quite dangerous for your website because high outbound links are vulnerable as spam pages (which are usually spamming in this type of blog commenting). Getting backlinks from websites with different hosting and different IPs also influences the ranking of our website in Google's search engine. Logically, if the backlinks are obtained from different IPs, chances are that the backlinks obtained are not manipulations as if we make backlinks from our own websites (with the same IP and hosting). At least, that is most likely to be embedded in the mind of Google Penguin. Although in practice, still different IP backlinks can also be manipulated (for example PBN). Getting backlinks from dozens of websites with different IPs is far better than hundreds of backlinks but from the same website. According to the theory, Dofollow is a link calculated by Google as a 'vote' for your website, while nofollow does not. So, if you get a lot of quality backlinks with the 7 criteria above, but the link is not to follow, then it is a big loss. Some say nofollow is still counted as a backlink, some say no. In my personal opinion, this link is still likely to be calculated, but the percentage is very small when compared to follow links. In order to keep looking natural, I recommend building a dofollow nofollow percentage backlink at around 80: 20 to 95: 5. Don't all of your backlinks look for only dofollow because it will look unnatural to search engines, nor do most nofollow links rather than dofollow because the backlinks that you build will be less powerful. One way links or one-way links. A few years ago link exchange between fellow bloggers was a common activity and was very often done. This activity is effective enough to increase Pagerank and strengthen backlinks from sites that do link exchange. Unfortunately, in Google's algorithm, this kind of reciprocal link has been greatly reduced in value (probably because it has been misused too much). One way links to our website are far better than two-way links such as the link exchange model. The reason is quite simple because we get a backlink (+) without having to go back to issue a backlink (-). 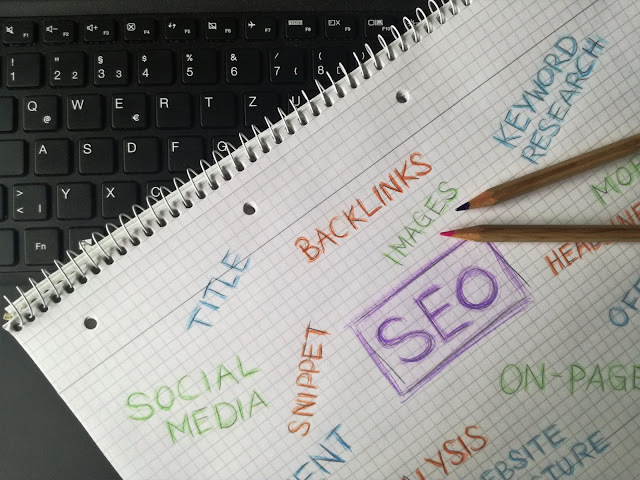 By paying attention to the 9 criteria above in searching for backlinks, your website will be much easier to compete in SERP than if you originated from backlinks without paying attention to the quality. You can add or subtract 9 criteria above according to your off-page needs, and if necessary you improvise to produce a more maximal effect. Not all the conditions above must be fulfilled because indeed to get a quality backlink that meets all these criteria is very difficult. Don't forget also other factors to maximize your off-page optimization such as social signal (links from social media). Although the links generated from social media are mostly non-follow, this type of backlink is also quite useful because it brings traffic and can cause viral effects. Here I do not intend to patronize, because, in its application, the science of SEO is not an exact science. SEO is a dynamic science, which requires us to continue learning and learning so that we can survive and develop in this field. Today you are no. 1 in SERP, not necessarily tomorrow you are on the top 10 search pages (unless you pay Google for ads on AdWords). Also, read my analysis of SEO or on page SEO optimization methods if you want to explore this field further. If you think there is something that is not right with my description above, do not hesitate to comment, because from your comments I can learn a lot of the shortcomings in my writing.